Destiny 2's Gambit Prime can reward four curated weapons for specific role-based achievements, so here are the necessary requirements to earn each of them. 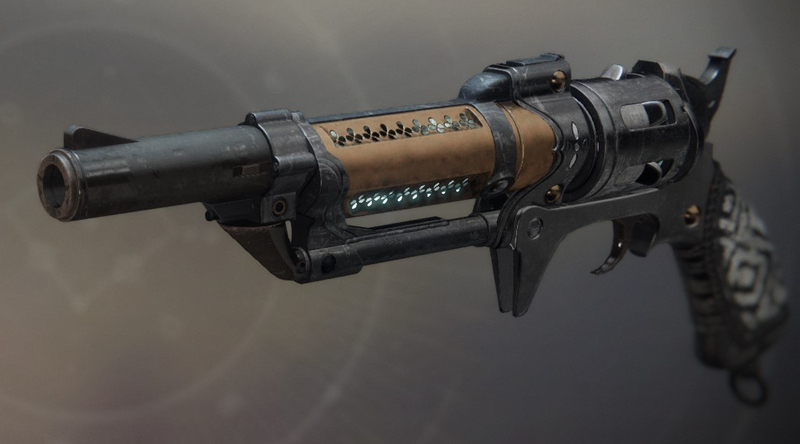 With the launch of Gambit Prime in Destiny 2 , players may have noticed being rewarded with one of four different weapons with curated perks, which have now been confirmed to drop in the mode. Until recently, however, exactly how to earn these four curated weapons, the Bug-Out Bag SMG, the Sole Survivor Sniper Rifle, the Spare Rations Hand Cannon, and the Last Man Standing Shotgun, has remained a mystery. Thanks to content creator Sneaky Beaver, Destiny 2 players may now have a solution. Sneaky Beaver summarized their findings in a Reddit post on Monday morning, confirming that the four curated weapons have specific requirements associated with getting them to drop. While his conclusions don’t necessarily summarize every possible way to acquire them, as there’s still some ambiguity regarding certain ways Gambit Prime hands out rewards, the tips Sneaky Beaver offers are certain to lead to the weapons if followed. The gist of it is that each weapon has an RNG chance of dropping after the player completes a role-specific task while playing Gambit Prime. The completion of these tasks is marked by earning a Synth, so if the weapon doesn’t drop alongside the Synth then RNG won out that round and players will have to wait until the next match for another chance. Details regarding these four curated weapon drops in Gambit Prime are still being ironed out. Some players are reporting earning some of the weapons through different means, but little is confirmed. The second tier of Reckoning is also confirmed to a mix of four RNG and curated weapons through RNG, including the same shotgun and sniper rifle, as well as the new Season of the Drifter scout rifle and sidearm. As for the other weapons, they’re seemingly only rewarded through the Drifter’s weekly rewards. Sneaky Beaver also says that the Last Man Standing shotgun can be earned by killing an Invader within a few seconds of their invasion. However, several others have replied saying that they’ve earned other weapons by killing an Invader in this manner. It’s entirely possible that there are different methods for earning these weapons in Gambit Prime, either through different role-specific tasks or otherwise. These four methods, however, are confirmed to work by Sneaky Beaver. Just jump into a match of Gambit Prime, accomplish the task (before any other) and hope for the RNG gun drop. Whether or not the guns are worth the effort to earn is another matter entirely, but at the very least they’ll help flesh out each Guardian’s collection. Destiny 2 is available now on PC, PS4, and Xbox One.